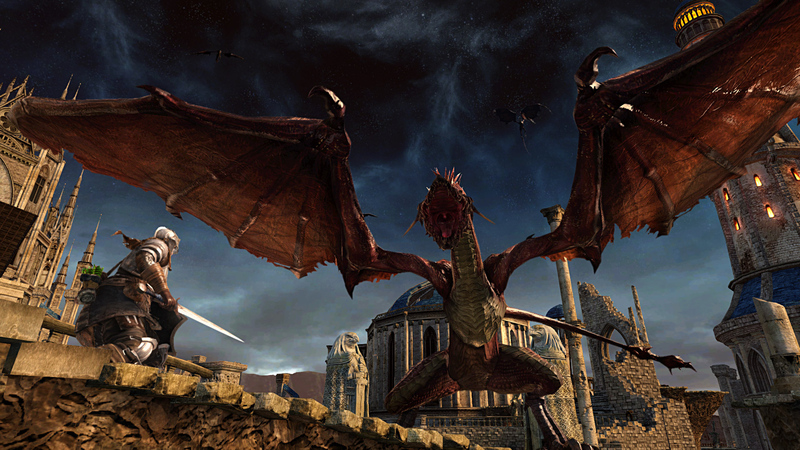 Scholar of the First Sin is first and foremost a complete rebalance of Dark Souls 2. Enemy placement has been remixed quite a bit, and the distance at which they'll spot you and choose to engage has been increased. They also seem to use more aggressive attacks as well, and sometimes will come sprinting at you as soon as you enter an area. You'll see enemies sooner than you expect, you'll see bosses used as normal enemies much earlier than normal, and there are a handful of new baddies to help ruin your day. I don't want to spoil too much about the remixed enemies, since going in fresh is key to the experience in a Souls game. Instead, I'll describe two of my favorite changes that arrive early on in the campaign. Throughout the original game, there were enemies called Heide Knights that could be seen resting in various places. If you left them alone, they wouldn't attack you. In Scholar, they have all been moved to Heide's Tower of Flame - some in areas you can easily avoid, others not so much. If you decide to attack one of them, they all become hostile to you, and they're no easy fight at that point in the game. The second fun change is how the Pursuer has been implemented. Normally, he's most likely the second boss you'll fight, though you can have an early encounter with him. After defeating him in the original version of Dark Souls 2, he makes a repeat appearance in the Smelter Demon's boss chamber much later on in the game. In Scholar, he follows you throughout the Lost Bastille, showing up in several rooms and each time sporting a different ability. Along with the enemy changes, many of the friendly NPCs have had their locations adjusted, but nobody (that I've observed so far) has been removed from the zones you expect to see them in. Items have been moved around a bit as well, though not so much that I had a hard time finding them. 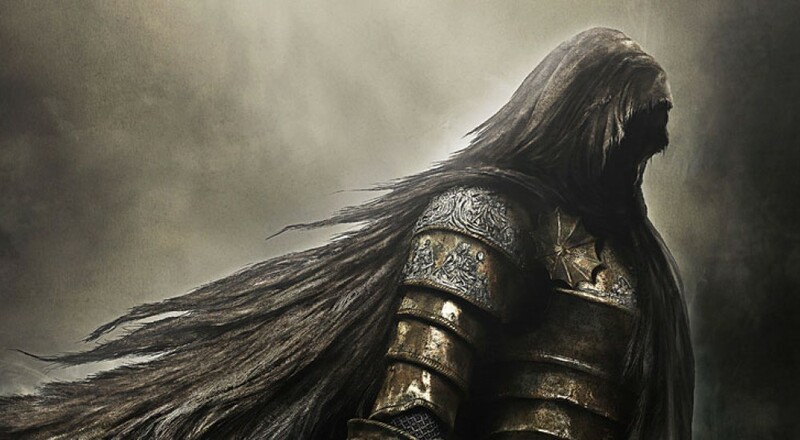 As a veteran, I felt the game was harder than the core Dark Souls 2 experience, but not by a significant enough margin that I would ask new players to play the original game first. Scholar's campaign ends up feeling more like a refinement, and it's hard for me to argue with the additions. Besides, if you're feeling challenged, the changes to co-op are very helpful. In the original game, you were limited to summoning two human players (or two NPCs) for help, but Scholar bumps that total to five. You still have the usual summoning limitations (Soul Memory, level ranges, and needing to be Human), but when you pull in a full crew, it's pretty easy to just wreck most areas. Since I started playing on day one, I figured it'd be best to test the new co-op on an early boss, so once I cleared to the Last Giant, I dropped my sign to get summoned into another player's game. Once I got pulled in, I realized he had not only summoned four other players, but they were all stripping themselves of armor and weapons, intending to fight the game's first boss totally naked. I made my decision right then: When in Rome, do as the Romans do. It took a little longer than it should have, but the six of us punched the Last Giant's ankles until he keeled over, and it was glorious. I make it a point to camp bosses and let myself be summoned (it's only polite) to help people along, and though most of the time I haven't had more than one or two partners, it's nice to know I could potentially grab a large party of friends and have a good time (though progressing everyone would be a total hassle). Scholar additionally boasts a nice graphical upgrade. It runs at a pretty smooth clip on the PS4 and Xbox One, though it doesn't hold a solid 60. Lighting is more dynamic, and choosing to bring along a torch is a much bigger decision to make than it was previously, though I usually made do without one out of habit. If you have a current-generation console and haven't played Dark Souls 2, I recommend picking this up with no reservations. For previous-gen console players, this is a good deal if you don't already have the DLC, but if you do, you're really only getting the remixed campaign for your money. For PC players, the awkward upgrade path combined with the split player base makes the DirectX 11 upgrade a little harder to swallow, especially since it largely feels like a patch. Regardless, I think Scholar of the First Sin is a great addition to the series, and well worth playing for both new players and veterans alike. It stands above many other "HD Remaster" type releases, and gives everyone a new experience. Page created in 0.8214 seconds.